CPCS’ learning papers seek to extract theory from practice and consolidate and share our key learnings from interventions in a range of contexts with different stakeholders. 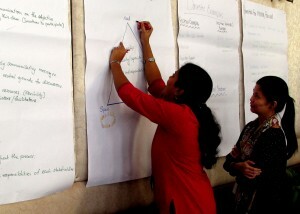 They seek to ask what have we learned from our work and how can we develop and improve current or new methodologies? Based on contemporary experiences in Asian peace processes, these publications seek to explore subjects such as conflict transformation, trust building, power dynamics and peace infrastructure in various phases of implementation in the Asian region.